Most undergraduate programs require students to complete courses in a non-english language before graduating. However, this isn’t the case at UT. Foreign language and studying abroad are greatly encouraged at UT, with over 30 programs offered annually, but they aren’t mandatory despite the utility of multilingualism in today’s globalized world. “At UT since foreign languages are not mandatory, students are more motivated because they are not forced to take a language. They are in class because they want to be,” said Dr. James Aubry, head of the department of languages and linguistics. Aubry said that UT’s policy encourages students to learn languages by choice, and is no reason not to explore non-native dialects. Aubry also agreed with the numerous benefits of multilingualism which, according to research published by multiple sources on the American Council on the Teaching of Foreign Languages’ (ACTFL) website, include the correlation of language learning and higher academic achievements, increased cultural awareness and an increase in an individual’s chances of getting a job. The latter is particularly important for college students looking for employment after graduation. Multilingualism and an ability to communicate with a diverse group of people are assets to employers who are constantly dealing with a multitude of different audiences. An individual’s fluency in other languages also showcases his or her determination when it comes to learning a new skill. Individuals with second language fluency could see an increase in pay between 12 percent to 14 percent more than monolingual speakers, according to US News. 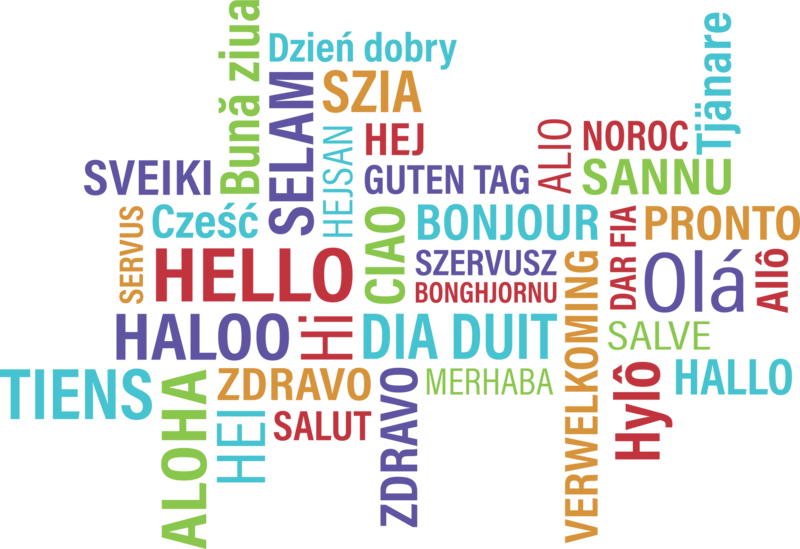 Recent research by the American Academy of Neurology also demonstrates how multilingualism allows information to pass through a greater number of channels by increasing the neural pathways. This leads to an improved function in the brain’s executive roles and attention abilities. It also delays the onset of the effects of Alzheimer’s and dementia. Vanessa Rukholm, assistant professor of French and Italian, also supports multilingualism. Some students at UT would rather not go through the process of learning a new language. This is largely due to the perceived difficulty of the process as well as the lack of necessity of a new language. Kassandra Weeks, a junior, is a monolingual student that decided to spare herself extra studying. Since UT is located in South Florida, students are surrounded with a demand for bilingual Spanish-English speakers due to the prominent Latino population. According to a survey conducted by the Northern Illinois University, 86 percent of businesses and 84.2 percent of nonprofits think that Spanish as a second language would be beneficial to them. Multilingualism is now a vital aspect of many industries including business, healthcare, tourism, education, film and many others. This is recognized by other countries, including Canada and most European countries, where language learning is mandated by policy makers and offered to students at a young age. “The U.S. is falling far behind other industrialized nations on this and risks getting left out of the conversation as a result, ” Rukholm said.